Crisis. Leadership issues. Spending issues. Confidence issues. Talk of last chance and of rearranging the furniture. I was watching the teatime football on television on Saturday – that first-half debacle as Newcastle United took the lead, added to it and pushed Mourinho and Manchester United ever closer to some decision on those issues outlined above; watching the football and thinking of our politics within which those same issues apply. Somehow Mourinho and United found a way out of the mess; some second-half impetus and momentum that changed things – saved things. There is no such impetus in the politics of Stormont. The abnormal has become normal. Six-hundred-plus days without government could easily become 1,600 days. This is what Secretary of State Karen Bradley needs to think about in the latest round of talks – think outside the box of the Tory-DUP deal and about how to end the sleep walk in the corridors of politics and government; a period when self-interest and survival have been elevated above all else. In the blindness of this moment, Stormont could be relegated to an even lower division in terms of priority. There is no easy road back. Who wants a government based on RHI standards? I hear no one shouting for that; and there won’t be a government unless the issues of language and rights, including marriage equality are settled with certainty. Policing is back on the agenda as a problem issue. The February draft agreement won’t work this time. Brexit and the battle over legacy are pushing further away the day of any new Executive. 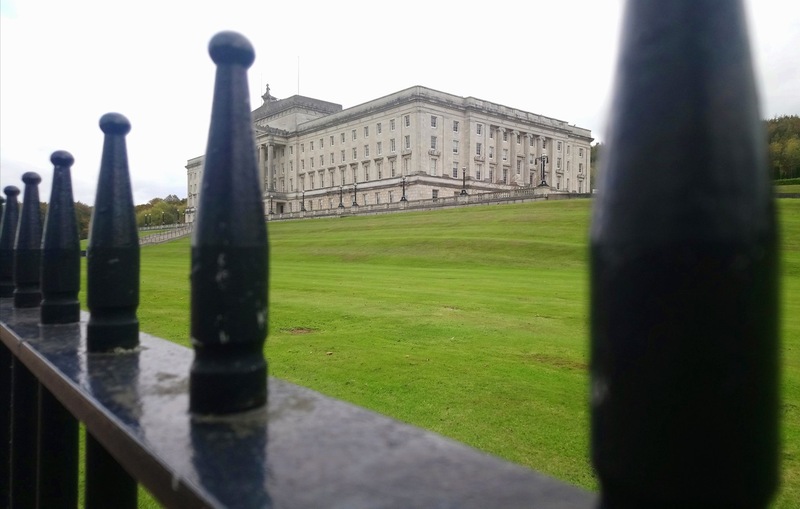 Stormont is close to being beyond its sell-by date. Already, you hear that being expressed by some, and if that word and mood spreads then the rebuilding of politics will become all the more difficult. That first half debacle on Saturday was Mourinho’s and United’s wake-up call, but, here, the political sleepwalk continues. If that Tory-DUP arrangement collapses on a Brexit decision, then the price for a new Executive will be much higher than it was in February. The DUP will need it more than Sinn Fein. Ground is shifting, the mood is hardening; and the idea that another round of the same talks with the same people will change things, is political madness. Too much damage has been done and is being done in those games of self interest and survival. Is it too late for Stormont? October 8, 2018 in News & Current Affairs. It is too late, Brian. Project NI has been a failure from its imposition. No matter how much the Nolans of this world delude themselves that this state is a ‘country’ it is nothing of the sort. It is a basket case. A travesty. As Charley, originator and sponsor of the ‘Hume Adams’ process, noted: Norn Iron of the working class or Noel an Alan of the North Down set was and is a ‘failed political entity’. The abandonment of the appeasement process under severe pressure from its support base was Sinn Féin’s belated acknowledgement of that incontrovertible fact. The DUP’s self-delusory day in the Westminster sun is fast coming to an end. Arlene and co will find there is a price to be paid for the tail summoning the Tory dog from lunches with the leaders of Europe to scold them about blood red lines. Sleep-walking is the last thing we should be doing. There is a huge opportunity in the present set of circumstances to forge a new and agreed Ireland which will sweep away both partitionist statelets and finally end the ‘carnival of reaction”.